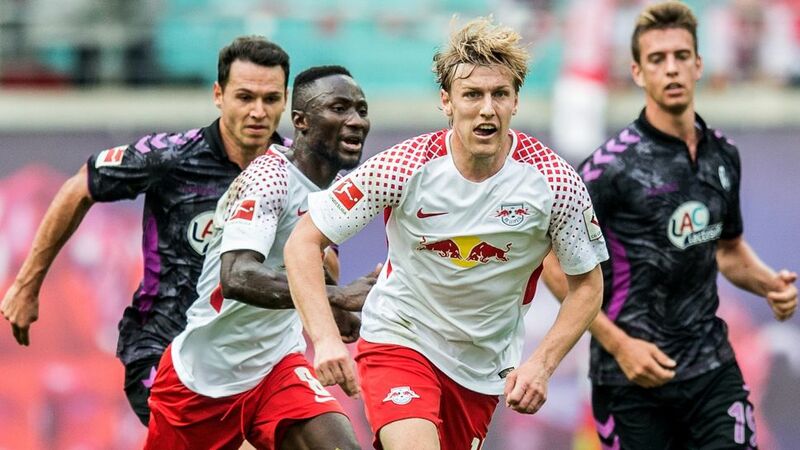 Bundesliga | RB Leipzig's Emil Forsberg: "20 goals and assists would be great!" RB Leipzig winger Emil Forberg enjoyed eight goals and 19 assists in his maiden Bundesliga season. RB Leipzig's Emil Forsberg: "20 goals and assists would be great!" bundesliga.com sat down with the Sweden winger, who laid on 19 Bundesliga goals last year, to get his thoughts on what his side might achieve this season, having upset all odds to finish as runners up to Bayern Munich last. bundesliga.com: Emil Forsberg, could you ever have imagined that Leipzig would finish as runners up in their maiden Bundesliga campaign? Emil Forsberg: Originally, our goal was simply to get through the season unscathed, but we were convincing from the start. We played great football and caused a sensation. We were able to show that we belong in the Bundesliga. We played really well. Watch: All 19 of Forsberg's assists in 2016/17! bundesliga.com: How did it feel to end the season as the Bundesliga’s assist king? Forsberg: I'm proud of that. I had a strong season. There were many special moments and I was able to do my part. I want to be even better in this new season. I can still develop further. bundesliga.com: Does that mean you’ll score more goals, or is it just as rewarding to create a goal? Forsberg: Scoring a goal gives you a bigger adrenaline rush than making an assist, but if I were to score 20 goals and make 20 assists, that would be great (laughs)! bundesliga.com: What is the secret of Leipzig’s success? Forsberg: That we stayed hungry throughout the whole season, and – above all – that none of us were tempted away. We were diligent and humble and stayed together. We were never distracted by thoughts about the Champions League, which was also important. Forsberg: That's true. I played in the group stage with Malmo in 2014/15, with games against Juventus and Atletico Madrid. It was a great experience. We all look forward to it, especially the anthem shortly before the whistle. That gives you goose bumps. I grew up with this anthem. I was ten years old when I first heard it. If you hear it because you are out on the pitch, then it’s all the more special. We’ll enjoy every minute. Watch: Bruma's strike in Leipzig's 4-1 win over Freiburg was voted August's Goal of the Month! bundesliga.com: Leipzig have strengthened this summer, with players like Bruma and Jean-Kevin Augustin signed. Are you pleased with the new arrivals? Forsberg: Absolutely. It was important that we keep the base of the team from last season and also signed a few players to make the squad deeper. We have a solution for everything. I have no doubts about that.